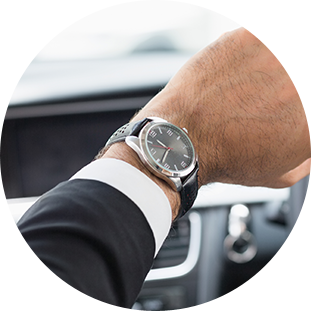 Always on Time, Chauffeuring in-Style, Safely and Comfortably. Interactive Real-time Mobile App, "Book Now" On-line Web Reservation Management Tools & On-line Billing Management tools. Providing our Valued Clients with Ground-Transportation Services: Locally, Nationally and Internationally. Group Americar Transportation monitors and tracks drivers locations 24/7/365 ensuring on-time pick-ups for all of your reservations. Our advanced System dispatches the closest vehicle to your location. Once en-route our seasoned Chauffeurs will take the shortest, fastest and most optimal route to your destination by factoring in: day of the week, time of travel, and traffic patterns. Safety is an imperative at Group Americar. We are committed to providing only the highest levels of service by ensuring that our Chauffeurs are hand-picked seasoned professionals with spotless records. In addition, our experienced industry Drivers submit to internal testing: defensive driving, eye exams and are compliant with all licensing and regulatory governing agencies. With Group Americar, you’ll always arrive safely and on time. When you Travel with Group Americar Transportation, your experience will always be first-class. Our friendly Client Service Representatives are available 24/7/365 to answer any questions or help with any booking requests, and our courteous and professional drivers will go above and beyond the call of duty to exceed your needs like providing bottled water, newspapers, magazines and mints in their vehicles for your added convenience. No request is too great so ask. We are here to serve you.